Don Lee joins Deutsche to lead execution services in APAC alongside Hani Shalabi. 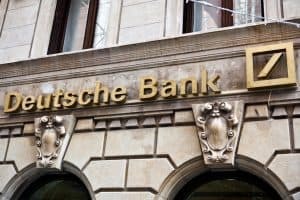 Deutsche Bank has hired the head of client trading and execution in Asia at Credit Suisse to lead execution services for the bank in the same region. Don Lee has been appointed co-head of APAC execution services and will lead the cash execution business for Deutsche Bank alongside Hani Shalabi. He will report to Richard Chung, APAC head of equities and global head of equity trading at Deutsche Bank. Lee has 26 years’ experience in the industry, having most recently worked for Credit Suisse leading its client trading and execution business in APAC. He also held the role of co-head of APAC cash equities at Credit Suisse. The appointment is the latest move by Deutsche Bank to bolster its senior equities team. Greg Sutton is due to join the investment bank as global head of program trading as its looks to focus on its algorithmic trading capabilities. Greg previously headed up Americas program trading and electronic execution sales for Citigroup, where he has spent the past 19 years. Earlier this week, Deutsche Bank confirmed that it has officially started talks with Commerzbank to explore a potential merger. Both banks said that the talks do not mean a deal will be reached, and Deutsche Bank emphasised that there may be economic and technical factors that could hinder a tie-up.